The 5k Charity Fun Run of Edmonton, Alberta, is not your average charity event. For this race, you'll don your favorite gorilla costume and traverse the 5k course route. It's great fun, and all to help the Mountain gorillas of Africa. 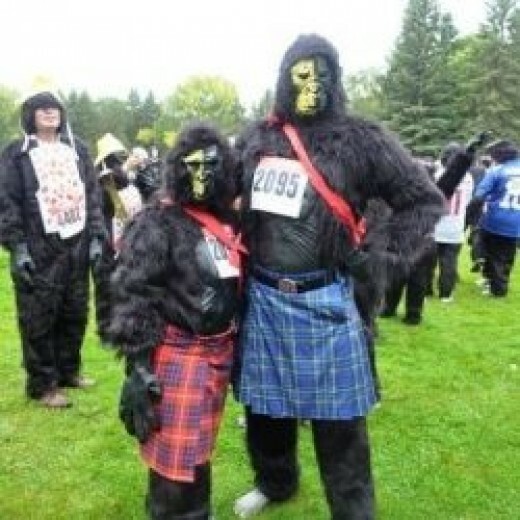 Held in September each year, hundreds of participants in Edmonton, Alberta, walk and run the course in their gorilla costumes, raising money for the Mountain Gorilla Conservation Fund. So don your costume, and join the fun! Where is the Gorilla Run Held? What Is The Gorilla Run? The Gorilla Run is held each May in Edmonton, Alberta, Canada. All participants in the Run wear full gorilla costumes, complete with masks and hands. Creativity is encouraged, so you'll find gorillas in tutus, kilts and face paint, among other adornments. The race begins at 10:00 am. The first to leave the starting line are the gorillas with wheels. These include people on bicycles or in wheelchairs. Motorized vehicles, skateboards, rollerblades and scooters are not permitted. Just 5 minutes later, those on foot head out on the course. Runners, walkers, joggers and cyclists - each in gorilla costumes, hit the bike trails & city streets, all in the name of charity. Quite an amusing sight to see in Edmonton - or anywhere - on a September morning! To become part of the Gorilla Run, you must first register and pay your entry fee. Your entry fee includes a gorilla costume, which you get to keep after the run is complete. Gorilla suits can be picked up before the day of the run. It's best to try it on in advance, to make certain it fits. If you prefer, you can wear your own gorilla costume. However, keep in mind that in order to win any of the prizes, you must be wearing full gorilla gear at the end of the run. 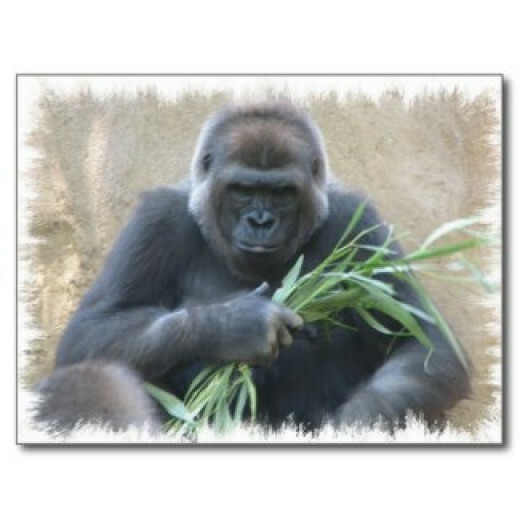 The point of the Gorilla Run is to raise money for the Gorilla Fund. There are a number of incentives for donating money. For $50.00, you will receive an event t-shirt. Other donations will earn anything from a stuffed gorilla, to an insulated vest, to a drawing to win a bicycle! The Mountain Gorilla Conservation Fund helps protect the endangered silverback mountain gorillas of Rwanda, Uganda and the Congo regions of Africa. In 1987, only 248 mountain gorillas lived in the wild. Because of the efforts of people like Dr. Dian Fossey, Ruth Keesling, and the Mountain Gorilla Conservation Fund, there are now approximately 790 mountain gorillas in existence! The MGCF offers veterinary services, habitat protection, and public education, thus ensuring the gorilla population continues to grow. Charity events such as the Edmonton Gorilla Race help raise money to expand these programs. If you'd rather supply your own gorilla costume for the run, consider this complete bodysuit available from Amazon. It comes with hands, feet, and mask, so you won't have to purchase anything separately. 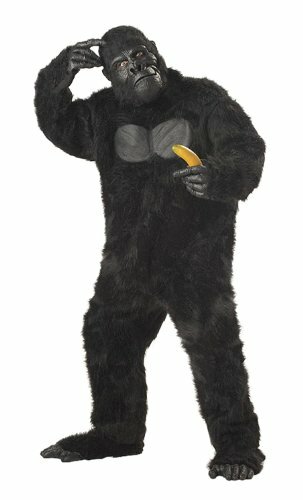 While most gorillas are black or brown, this costume also comes in a variety of colors. Who says a gorilla can't be green or purple? It's made of polyester, so it will keep you warm in the winter months, or in late October for Halloween. And it's so realistic, your friends will look at you twice!